A new documentary called ‘When Missing Turns into Murder’ tells the story of how teenager Shafilea Ahmed was murdered by her parents for wearing a top that showed off her and dishonouring the family. Shafilea Ahmed, 17, suffered years of abuse from her mum and dad before they decided to end her life for bringing ‘dishonour’ to the family. The couple pinned their daughter down on the sofa and stuffed a carrier bag into her mouth until she turned blue and suffocated in September 2003. Her father, Iftikhar Ahmed, put her body in the back of his car and dumped it 70 miles away from their home in Warrington. Now one of the teenager’s close family friends, Shanin Munir, has helped reveal the extent of the abuse she went through before her death. She said Shafilea’s mum and dad would often call her a ‘whore and a prostitute’ and beat her if they believed she was misbehaving. Shanin has also said ‘I’d heard there were physical beatings and a lot of emotional abuse. Her sister told me her parents would lock Shafilea in the garden. ‘She wanted to escape her home, for her it was hell.’ Shafilea was the oldest child of Farzana and Iftikhar Ahmed, who met through an arranged marriage. As she got older, she adopted a more Western way of living, taking an interest in fashion and wearing make-up and false nails. During a furious row over her short-sleeved top, they killed her in the living room and made the youngest sibling watch. 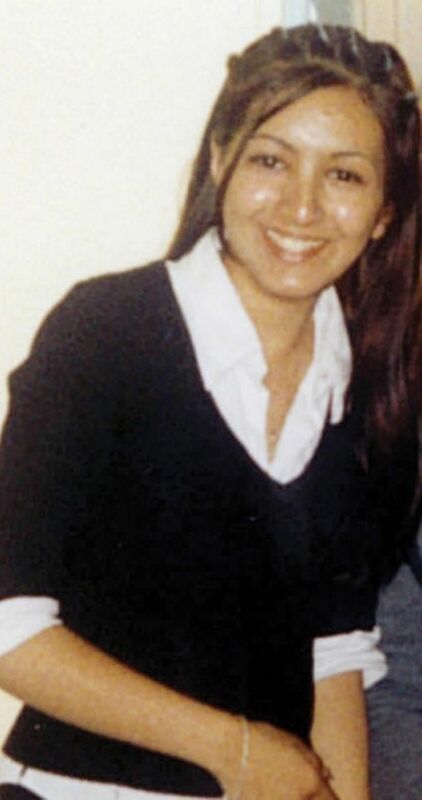 Shafilea’s body was found five months after her death in the River Kent near Sedgwick, Cumbria. Her sister Alesha later went to the police and bravely told them what had happened. In September 2011, Iftikhar and Farzana were arrested and charged on suspicion of murder. After seeing the case in the media, family friend Shahin decided to come forward as she had received letters from Shafilea’s other sister talking about the night of the murder. Iftikhar and Farzana were found guilty and were sentenced to 25 years in prison with no parole in 2012. When Missing Turns To Murder is on Crime and Investigation channel, Sky channel 256 at 9pm on Monday April 15.